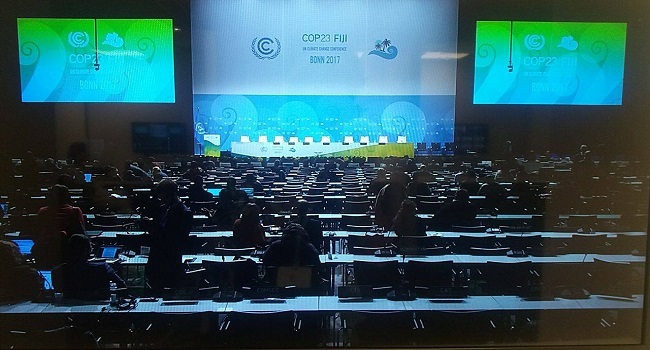 The closing plenaries for the COP23 meeting in Bonn, Germany will be held later today. Negotiations were on a deadlock over the issue of climate finance – mainly the adaptation fund. The Ad Hoc Working Group on the Paris Agreement (APA) closing plenary is currently underway. This will be followed by the closing of the Conference of the Parties serving as the meeting of the Parties to the Paris Agreement (CMP) plenary. The closing plenary of the Conference of the Parties (COP) is expected to be held around 2am (German Time).